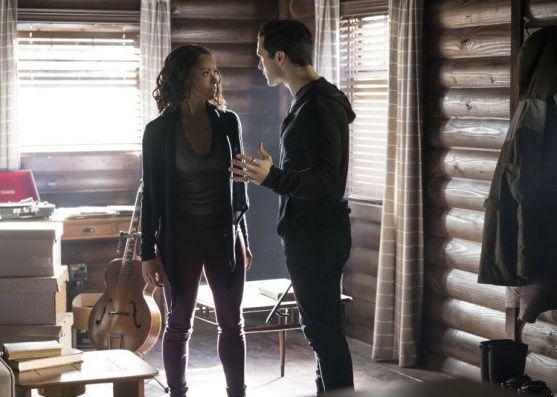 The Vampire Diaries is nearing the end of season seven on https://tvseriesfinale.com/tv-show/tag/the-cw-tv-shows-canceled-or-renewed/, and fans already know that the network is bringing back the series next fall for an eighth season. Julie Plec spoke about the end of The Vampire Diaries during an interview with Vulture. She was promoting her new series on CW, Containment, at the time. After Ian Somerhalder’s comments that the series would end with season eight, fans have been wondering if they really do have one more season of the series. He later retracted his comments, but fans are still speculating about the future of the series. Plec has made it clear that the end of the series will come when Ian Somerhalder and Paul Wesley are ready to call it quits. That could be with next season, but Plec does seem ready for at least a ninth season if the network decides to renew it again next year. It is likely Nina Dobrev will return to the series for its finale. Are you a fan of The Vampire Diaries? How much longer do you think the series will go? Tell us what you think. More about: The Vampire Diaries, The Vampire Diaries: canceled or renewed? Writers and producers should be learning “The Walking Dead” approach to killing off lead characters and still being able to continue with a compelling storyline and audience appeal. Vampire Diaries could easily follow suit; however, the storyline must change to one that makes the viewer feel a deeper connection with the Salvatore brothers and making them the complete focus of the storyline with other characters circling, entering, and leaving the circle of that focus. Julie Plec – you are my heroine and I have such admiration for your writing skills, so give it a go to season 12 of VD. I’m surprised it was renewed for an 8th season. This season was like Season 11 of Greys for me. I tried to watch but I lost all interest half way through. I will tune in to see how it ends, hopefully next season. Since Ian is leaving after this season, I wouldn’t be surprised if Paul follows also. I really don’t know how this show could go on with only one Salvatore. Plec has made it a point since Nina left to tell fans how this show is about the brothers. I just really feel like there’s no point in continuing the show with Ian leaving and Kat Graham. I hate for the show to end but it will be nice to see everything come full circle and have Nina in a series finale. I love the vampire diaries. I think the show last ten season’s or more. Its a awesome show. Thanks!